Are you finding it hard to make the time to have an appointment with one of our vets? Is travelling to EVDS in Grafton too time consuming for you, but to have us come to you and paying travel fees too much for your budget? Do you find on your days off, you are busy trying to catch up with your friends, trying to have some time with your horses and in there somewhere, trying to fit in the time for one of our vets to come out and do dentals, vaccinations etc? You are on your day off from work, the sun is shining and you are spending time with your horses and friends, eating nibbles and sharing a laugh. Along comes the Vet and checks over your horse, does the dental, vaccinations, weighs it, cleans the geldings’ sheaths and other vet work if you need? You have your horses, friends and their horses, and vet all in one place at one time. Learn and become proactive about preventing diseases, illness and pain in your horses! Sound interesting? Well, we can make this a reality. EVDS wants you to enjoy and help your horses and friends with their horses whilst saving money, so we have come up with a new concept called the “EVDS Healthy Horse Dental Party”. How does this work I can hear you saying? It’s simple... All you need to do is gather 6 or more horses to your place to each get a dental done by one of our vets, and let the fun begin. If you have an EVDS Healthy Horse Dental Party, it’s just like a Tupperware party. 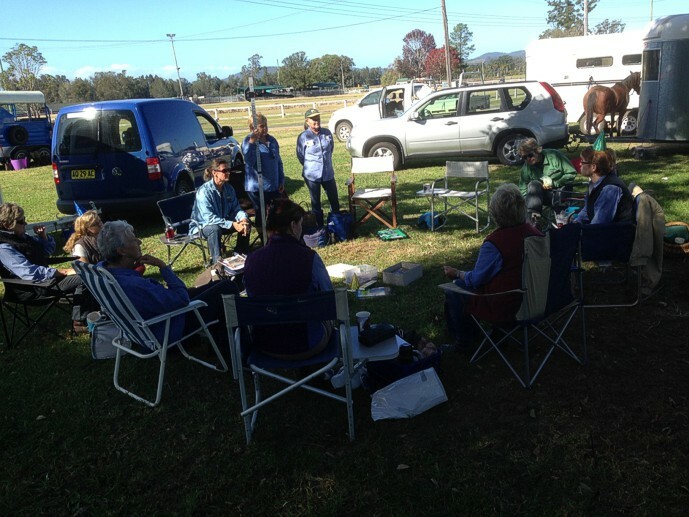 You become the host and organise your friends to come over with their horses, have nibbles and drinks while we attend to your horses. If your friends are working, then they can drop off their horses on their way to work, and pick them up after work. We can take photos of the horse’s mouth and text them to the owner. It's not a party without party games. We'll bring party hats, provide some games and prizes. Games include ”Guess the weight of the horse”,”Walk the line” (the horse), “pass the parcel” and “Guess the horse with largest smegma bean”! Sound like fun? It sure does! If you as the host can organise 6-9 horses for Dentals in the one spot, we will give you 50% OFF THE VET’S SHARED TRAVEL COST (which is shared between ALL horses having a Dental) and 50% OFF ONE horse dental COST for you the host. I can hear you saying WOW this is awesome. If you as the host can organise 10-16 horses we will give you 75% OFF THE VET’S TRAVEL COST (shared between all horses having a Dental) and ONE FREE DENTAL FOR YOU. Now how is that sounding? With all this on offer it’s hard to resist wanting to know more, so I have attached a Healthy Horse Party Booklet for you. You will find the steps to organising your next FUN day in the Booklet. Call 02 66 424 700 or email vets@evds.net.au to book your DATE. Which mouth does your horse look most like?